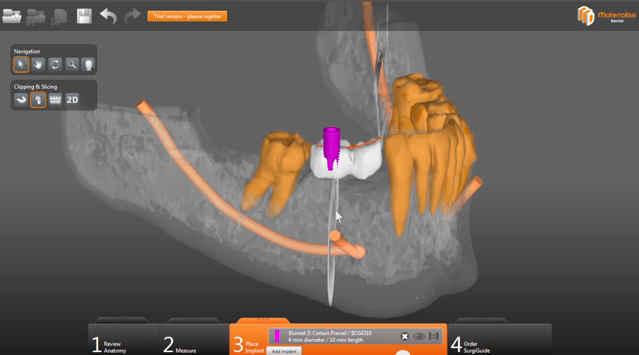 At BOCG, we implement computer guided implantology using the SimPlant software. SimPlant is a comprehensive three-dimensional processing of axial (CT) and volumetric (CBCT) scans software. Computer-guided implantology is a process that minimizes the duration and the probability of placement error. In this way, the procedure is done safely and without injury. The entire process takes place virtually prior to surgery and the perfect position of the implants is decided beforehand.